From the Senegal’s National mYouth 2.0 mobile app competition 6 teams with their 6 mobile app solutions were selected as finalists and they had a chance to present their mobile apps in front of the Senegal jury consisted of Mrs. Maye Diop, Mr. Karimou Ba, Mr. Mamoudou Diouf, Mr. Assane Seck, Mr. Chun Hei Cheung. 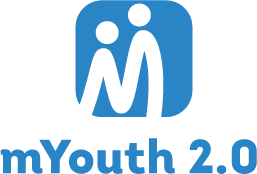 The pitching session was organized by mYouth 2.0 project partner from Senegal – Mobile Senegal. The six mobile apps that were presented are: Sunubus; Sama-docteur; Yano; SamaShop; Sama-Docteur; Mon Menu.